Last week, we shared the new Bison Marrow Bones from Tasman’s Natural Pet; you can read that post here. This week, we are back, sharing new treats from Tasman’s. They are a family owned company in Louisville, Kentucky. Tasman’s avoids antibiotics, added hormones, artificial preservatives, added sugars and glycerin in all of their treats. They also work with Rauch, Inc to employ adults with disabilities to package their chews. All treats are made and sourced in the US. Simply Jerky: There are two Simply Jerky treats; Bison Liver and Chicken. The one ingredient in the Bison Jerky is bison liver! The Chicken Jerky contains chicken breast and a small amount of added sea salt. Goodie Bites: These treats are a perfect snack for dogs of all ages and sizes! The bison recipe contains 85% bison, along with sweet potato, flaxseed, dried blueberries and cranberries, kale & carrots! Talk about a healthy treat! Nimble Jerky: This chicken-based recipe is great for joint maintenance. Nimble Bites: (Coming Soon)The Nimble Bites are similar to the Goodie Bites, but smaller in size and created with joint maintenance in mind. 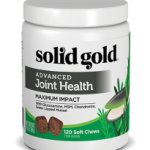 They contain 85% bison meat, along with fruits and vegetables, along with glucosamine and chondroitin, for healthy joints. 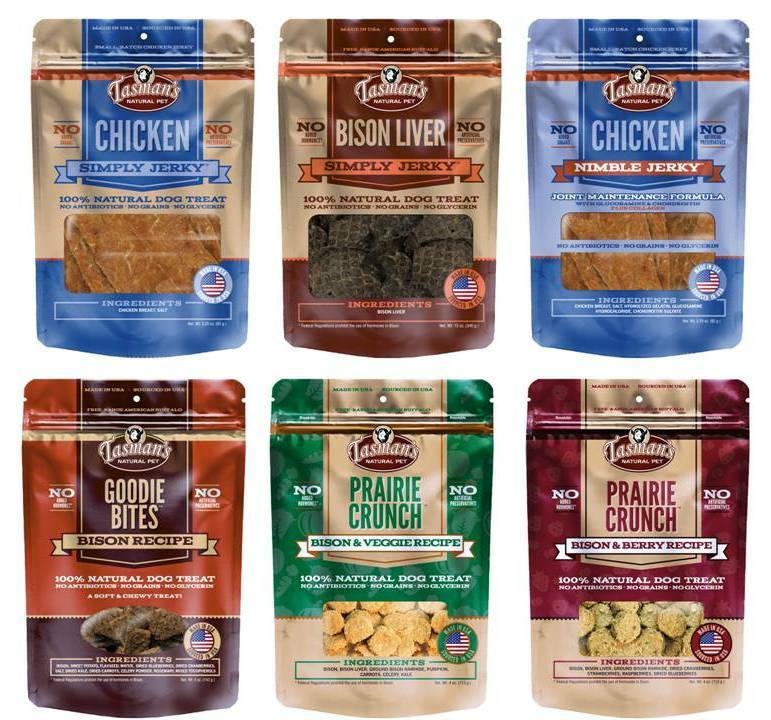 Prairie Crunch: There are two new flavors in the Prairie Crunch line, Bison & Veggie and Bison & Berry. Both treats are grain free and are packed with bison, fruit and veggies. The Bison & Veggie contains bison, bison liver, ground bison rawhide, pumpkin, carrots, celery and kale. The Bison & Fruit contains bison, bison liver, ground bison rawhide, cranberries, strawberries, raspberries and blueberries. 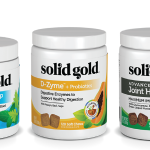 Find Tasman’s new treats at a Northland retailer near you!